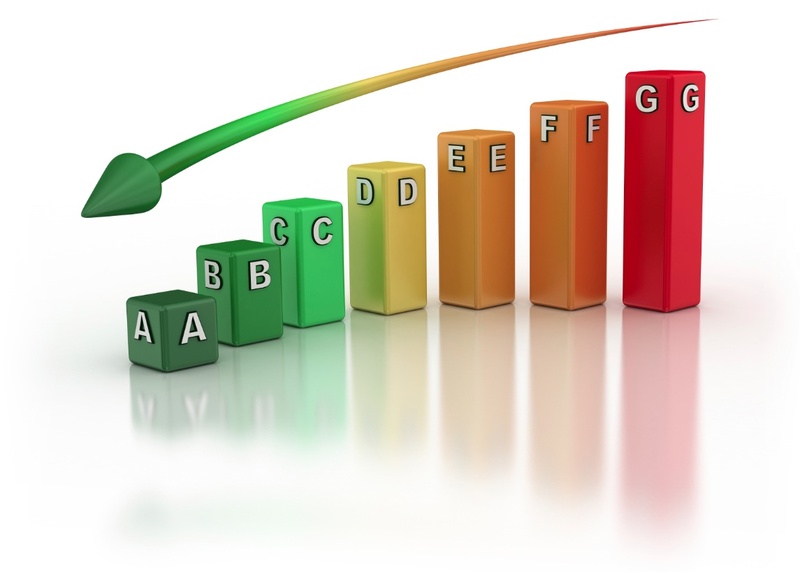 Energy Performance Certificates (EPC) provide a rating of the energy efficiency of a property. The EPC is broadly similar to the labels provided with domestic appliances such as refrigerators and washing machines. Its purpose is to record how energy efficient a property is as a building. The certificate will provide a rating of the energy efficiency and carbon emissions of a building from A to G, where A is very efficient and G is inefficient. The data required to allow the calculation of an EPC includes the age and construction of the building, its insulation and heating method. EPCs are produced using standard methods with standard assumptions about energy usage so that the energy efficiency of one building can easily be compared with another building of the same type. To see an example of an EPC, please click here. The Energy Performance of Buildings Directive (EPBD) requires that all buildings have an EPC when they are marketed for sale or for let, or when houses are newly built. EPCs are valid for 10 years, or until a newer EPC is prepared. During this period the EPC may be made available to buyers or new tenants. Bierce can provide EPCs for Dwellings, Commercial Properties, New Builds and Display Energy Certificates. Read our case study - Delivering EPCs for Poplar HARCA.